The closely related species greater periwinkle (Vinca major), a much larger plant, is used in a similar manner in herbal medicine and has the same medicinal properties as lesser periwinkle. Other Common Names: Common and dwarf periwinkle, vinca, running-myrtle, blue buttons, devil’s eye, joy on the ground, sorcerer’s violet, pervinca minore (Spanish), Immergrün (German), petite pervenche (French), gravmyrt (Norwegian), vintergröna (Swedish), vintergrøn (Danish), pikkutalvio (Finnish). Habitat: Periwinkle is originally native to Central and Southern Europe, from Denmark to Spain and east to West Asia. Lesser periwinkle was introduced to North America in the 1700s for ornamental purposes. It is commonly used as an ornamental plant in gardens, parks, and cemeteries, often as a ground cover under trees and bushes. The plant thrives best in shade or semi shade and it has the tendency to smother out other garden plants if it not kept under control. Periwinkle even grows well in deep shade but then it will produce fewer flowers. 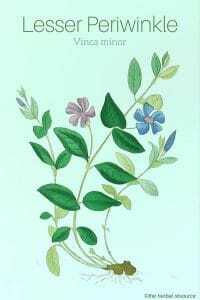 Description: Lesser periwinkle (Vinca minor) belongs to the dogbane family (Apocyanaceae). It is a perennial evergreen viny subshrub, 15-20 cm high. It is creeping but never twining or climbing. The plant has opposite, elliptic to lance-shaped, shiny dark green leaves that grow up to 5 cm long with a leathery texture. The 2-3 cm sky-blue and funnel-shaped flowers are produced continuously from May to October. The flowers have two follicles (a dry unilocular fruit formed from one carpel), containing numerous seeds. There are numerous cultivars of periwinkle each with different flower colors (blue, white, pink, etc.) and variegated foliage. Plant Parts Used: The leaves or the whole above-ground parts of the lesser periwinkle are used in herbal medicine. Both the flowering and non-blooming shoots are harvested and dried as quickly as possible at a temperature up to 45 ° C.
The dried plant material can be used for extracts, liquid extracts, powder, and tinctures. Today, it is mainly the isolated alkaloid vincamine extracted from the plant that is used and then in the form of commercial and standardized preparations. Active Ingredients and Substances: Periwinkle contains about 30 monoterpene indole alkaloids. Vincamine is the main alkaloid and constitutes approx. 10% of the total amount of the alkaloids. Vinpocetine (known under the brand names Cavinton and Intelectol) is a semisynthetic derivative alkaloid of vincamine. In addition, the plant contains a bitter substance (vincine), triterpenes (ursolic acid etc. ), an iridoid (loganic acid), phytosterols, phenolic acids, flavonoids, potassium and sodium salts. Periwinkle was already referred to as medicinal plant at the time of Pedanius Dioscorides (1st century AD), who recommended the use of the herb for a toothache and poisonous insect stings and animal bites. Pliny the Elder (23-79 CE), a Roman naturalist and philosopher, wrote that in his time it was widely cultivated as an ornamental plant. In the Middle Ages, periwinkle was often recommended as a treatment for a sore throat, nosebleed, and various lung diseases and it was a common ingredient in many love potions popular at that time. Medieval herbal literature also refers to the herb as a remedy for a headache, dizziness, and lapses of memory. As with so many other plants, periwinkle has often been linked to magic and superstition. It was regarded in the past as a powerful magic plant, which is reflected in one of the plant’s English common name “sorcerer’s violet”. It was believed that the plant could protect against evil spirits, and in some places, it was alleged that witches could not enter a building where periwinkle hung above the entrance. 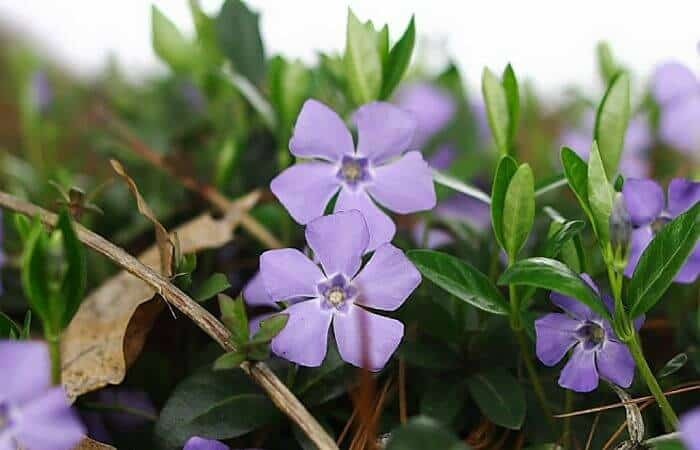 Periwinkle was also used in certain love rituals, and it was thought to increased the passion of those who carried it on their person or when it was placed under the bed. In addition, it was said that by gazing at the plant, lost memories could be retrieved. In France, periwinkle was regarded as is a symbol of friendship, and if the plant was placed in a buttonhole it was thought to keep evil spirits away. In some areas, it was added to both wedding and funeral wreaths. In Italy, the plant was usually associated with death, and it was often placed on top of caskets of dead children. Also, wreaths bound by periwinkle were placed around the neck of condemned men, before their execution. Periwinkle has a tonic, astringent (contracting), styptic, antihypertensive, vasodilatory (widening of the blood vessels) and diuretic properties. As an astringent, the herb can be used both internally and externally. The main application of the herb is for the treatment of heavy menstrual bleeding, either during menstruation (menorrhagia) or bleeding between periods (metrorrhagia). 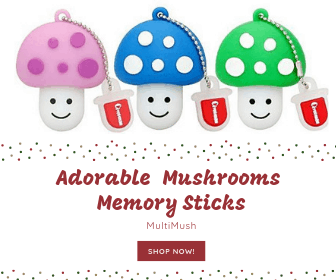 It can also be used for digestive problems such as gastritis (inflammation or irritation of the stomach lining) and diarrhea by strengthening the mucous membranes resulting in reduced fluid or blood loss. The astringent effect of periwinkle can be exploited by using extracts of the leaves externally as a mouthwash or a gargle for a sore throat, gingivitis and mouth ulcers, and as a washing, wet compresses or covers to treat minor skin inflammations, eczema, milk scab, vaginal discharge, and wounds. Furthermore, the herb has also be used to halt nosebleeds by placing the leaves directly into the nostrils. In 1953, vincamine was identified as the main active ingredient in periwinkle and soon after the chemical structure of the substance was mapped. Since then, all pharmacological and clinical research done on periwinkle has focused on this isolated substance. Studies have shown that patients suffering from poor memory, behavioral disorders, speech disturbances, irritability, restlessness, dizziness, and headaches showed significant improvement when administered vincamine. Today, there are a number of pharmaceutical medications for various ailments that contain this substance. In the beginning, scientists were mostly interested in the blood pressure lowering properties of vincamine which has similar medicnal properties as reserpine, an alkaloid found in the roots of Indian snakeroot (Rauwolfia serpentina) and the poison devil’s-pepper (Rauwolfia vomitoria). However, it soon became apparent that vincamine had very specific actions on the blood flow to the brain. Possibly due to a strengthening and softening effect the substance has on the thin arteries, which in turns improves blood supply to the brain and the inner ear. The main indications for vincamine seem to be for mild forms of high blood pressure (hypertension), vascular retinopathy associated with hypertension, Meniere’s disease (a disorder of the inner ear causing dizziness, tinnitus, hearing loss, pressure or pain), cerebral arteriosclerosis, dementia and some symptoms cause a stroke. As tea: Add one teaspoon of the dried herb to one cup of boiling water. Steep for 10 to 15 minutes and then strain. For therapeutic purposes, three cups can be drunk daily. As a gargle: Two tablespoons of the dried herb boiled in a ½ liter of water for a few minutes. Since periwinkle is slightly toxic, internal self-medication of the herb is now discouraged. If the herb is intended for internal medicinal uses it should only be done under the guidance of a trained herbalist or other professional healthcare provider. Periwinkle is slightly poisonous and ingesting excessive amounts of the herb can be dangerous. In large quantities, the herb can be harmful to the kidneys and nervous system, cause problems in the digestive tract and serious hypotension. Also, the plant contains substances that can irritate the skin and mucous membranes. Treatments for periwinkle poisoning may include; inducing vomiting and administration of activated charcoal. The herb should never be used during pregnancy. Vincamine, or extracts containing standardized vincamine content, should only be used if prescribed by a medical doctor. Vincamine preparations should not be used in cases ofbrain tumors, retinal bleeding or during pregnancy, and should not be used in conjunction with loop diuretics, laxatives, and arrhythmia medications.